Curious about Langlois and what we do? The short version: today, we are traveling culinary entertainment group. Like a circus, but with roux spoons and portable induction burners. We’re the jugglers, the fire-breathers, and the ringmaster. This is a new chapter for us starting in late 2016, because we are always evolving and we like to keep things interesting. But let’s backtrack to how it all started. From the time I was old enough to watch the elaborate dinner parties my parents hosted in South Louisiana, I dreamed of a space where I could throw my own dinner parties every night for guests. Not a restaurant, per se, where cooks work behind closed doors in “back of the house.” I wanted a place where we could hang out with guests, and share the fascinating story of Cajun and Creole cooking in a casual, laidback way, like we do in our own homes with friends and family in Louisiana. I wanted to host a dinner party with new guests every night. In the weeks and months following Hurricane Katrina, I wrote “Ruby Slippers Cookbook” to feed my soul and create some record of our way of life after the storm. It was a cathartic exercise, healing what felt like irreparable wounds at the time, but it also made me focus on what I really wanted to do with my life. I started thinking about my next step – how else could I share my love for Louisiana food? Devouring books about our food and history, I was struck by the story of Madame Langlois [lang-WAH], the “mother of Creole cuisine.” Langlois was the cook for Sieur de Bienville, the French governor of Louisiana (1701-1743), and is credited with teaching the first recorded cooking class in North America. Reading Madame Langlois’ story gave me the frisson – that tingling, shivering chill up the spine moment when suddenly, everything just … clicks into place. We started renovations on a creaky, run-down building in the Marigny in June 2012, and Langlois opened on November 30, 2012. 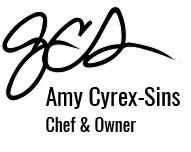 For four beautiful years, we operated Langlois as an interactive Cajun and Creole dining experience – dreaming up new menus, experimenting with modern and classic ingredients and techniques (yes, there were foams and liquid nitrogen), drawing from the diverse influences on Cajun and Creole cuisine, and inviting new people to dinner every night to take part in our creative culinary adventures. And. It. Was. Awesome. Langlois made Travel + Leisure’s list of “The Best Cooking Schools in the World.” I was selected as an honoree in the American Culinary Federation’s “The Best Chefs of Louisiana: Up and Coming Chefs 2014”. We started the Crossroads Farm, we grew part of our menu, and we got chickens. We went bow-fishing and watched our sugarcane harvest turn into cane syrup. Our team facilitated more than 100,000 meals during the August 2016 floods in South Louisiana. And we took every one of our adventures back to the Langlois kitchen, where we figured out how to share those experiences with our guests in the most delicious and fun ways. Now, we’ve started a new crazy adventure – one that sheds the weight and limitations of a brick-and-mortar restaurant so we can take Langlois on the road (and also, around the corner). We’re packing up our induction burners, roux spoons, and recipes, and we’ll be cooking wherever the wind blows us. You can book us for a private dinner for 10 in your home or we’ll conduct our three-ring circus of culinary entertainment for 10,000. Get updates, new menus & more! Tune in to WRBH 88.3 FM every Wednesday at 4:30 p.m. for New Orleans by Mouth, a weekly look at dining and restaurants around New Orleans from food news to chef interviews with Langlois chef/owner Amy Sins. 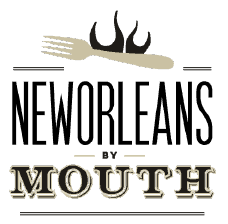 Launched in December 2014, New Orleans by Mouth is a spin-off of WRBHs previous food series, The Chef Show. WRBH 88.3 FM is a non-profit 501 (c) (3) radio station serving New Orleans visually-impaired community. Learn more about the mission and programming on WRBH 88.3 FM online.